This week I am sharing with you a product I have loved using in my skincare routine. I am a subscribed member to Glossybox, and I love being sent new products to try! I was recently sent this beautiful face serum in one of my monthly boxes and I love it. 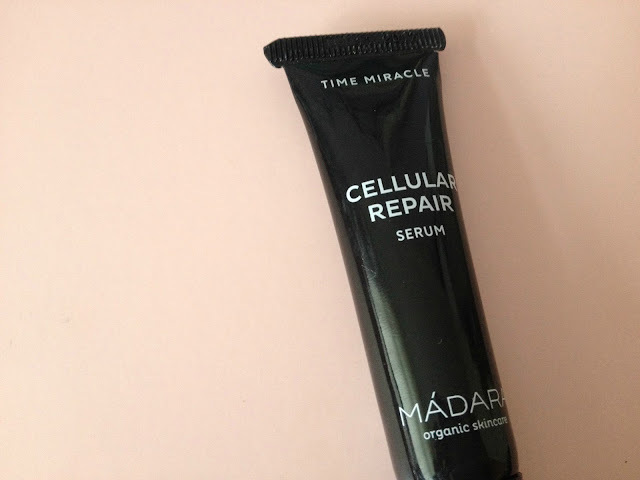 Although the serum is made with anti-ageing qualities (Time Miracle), I still love to use it on my skin as I find that the serum creates an amazing base for my moisturizer and makeup in the mornings. The anti-ageing elements have transformed my skin to being plump and smooth, and contours are more noticeable. The serum also has a great at moisturising so it could be used without a moisturiser too. The price tag is quite expensive, but I have definitely seen a transformation in my skin. I will continue to use this serum as it just creates a flawless-looking base. 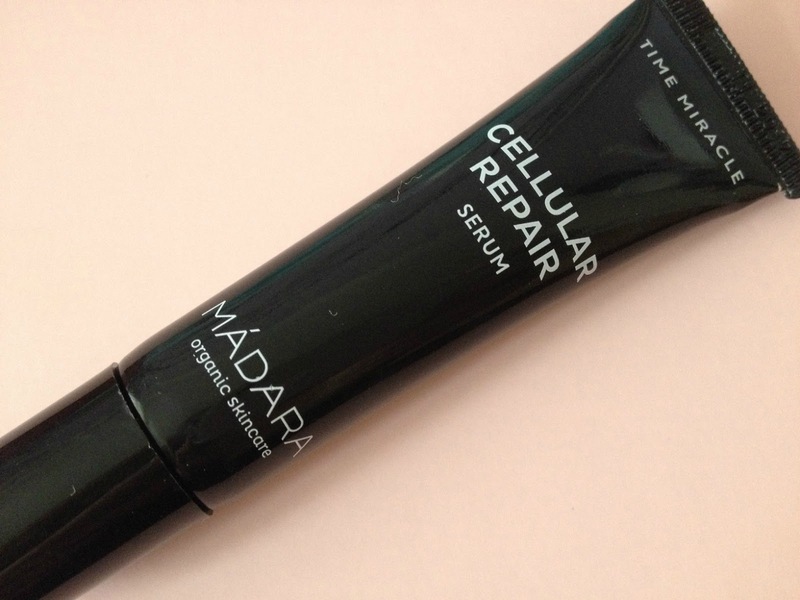 Have you tried the Madara Cellular Repair Serum? What were your thoughts? This definitely looks worth a try!